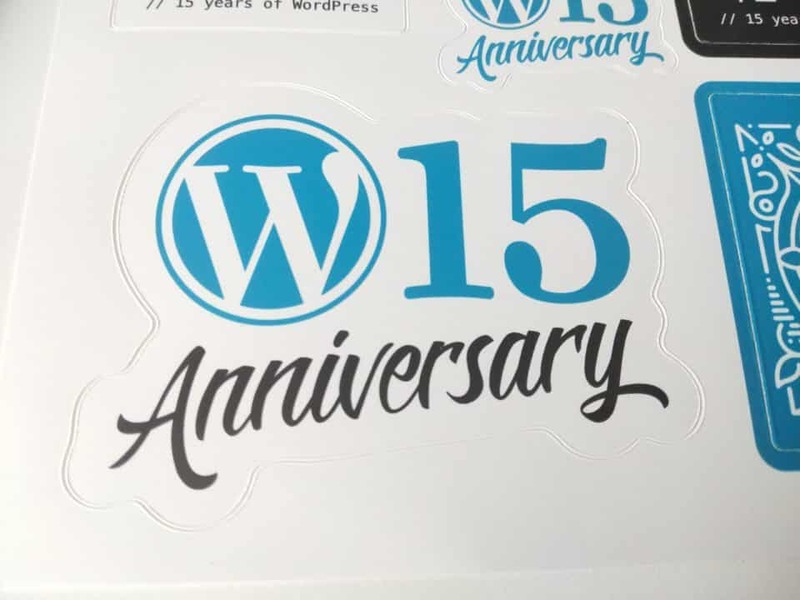 15 years ago today, WordPress first became available. As WordPress swiftly moves towards its next iteration, with the Gutenberg editor part of core, I want to look back a bit on my time with WordPress. I was working for a company doing rote data entry in early 2008, while building small sites for clients on the side. I had seen a basic CMS before, having used CushyCMS as directed by some past clients. The concept of storing content separate of the template files wasn’t pressing though, and I was still working in individual HTML and PHP files using Dreamweaver. While looking around at some options I stumbled upon WordPress, though I honestly can’t say that I remember where or how I was introduced to it. I do know that I was tasked with helping the company that I worked for build a new website for themselves. This would be my introduction to WordPress, as well as my introduction to doing jobs well above my pay grade for close to minimum wage. That part certainly hasn’t changed for a lot of agencies around Orlando. Before building the company site I decided to test out this software that was still known primarily for blogging. At the time that I started, version 2.5 or one of its maintenance releases would have been the newest version of WordPress, well before version 3.0 where WordPress Multisite, custom menus, custom post types, and custom taxonomies were part of WordPress core. At that time it definitely still fit the blog category more readily without those features. So I started a blog. I was a collector and trader of classic video games and memorabilia, and I enjoyed playing old NES games. At the time I was attempting to slowly build a collection of all official (and some unofficial) NES cartridges, barring the few that were several thousand dollars. That was approximately 679 US released games, with a few dozen more foreign exclusives. I made it to about 200 games before I got rid of the collection a year later, which is another story in itself. I didn’t finish that project. But I did finish the blog. It’s offline now, which is just as well since I didn’t realize at the time that my chosen domain misused the Nintendo copyright, and they were getting into their litigious phase with fans. 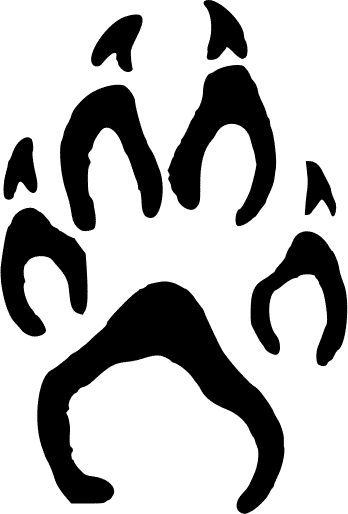 I would blog about some of the games that I was playing and give them reviews. Not nearly as fancy as the people who do this on YouTube for a living, but it was fun. After starting that blog and working on the company site I was hooked on WordPress. I left the company for a job that was actually about web development before the site was complete, but the actual developer at the old company did eventually finish it and put it up. I spent the next few years at two companies doing WordPress development, which was becoming higher in demand. Those new features appeared, and made it even easier to create sites for businesses and marketing efforts, which really did democratize the web for a lot of people. I visited the wordpress.org support forums a few times in this period, but don’t think that I ever posted, just read. That’s also a habit that I keep to this day with most sites: I lurk around for years before I sign up, if ever. Even having seen those forums it didn’t really click for me that there were people behind WordPress. Software was still this far away thing for me where someone made it and I consumed it. If I had a problem that I couldn’t solve, I chose new software or did without. It was only when I was into that second job that I met another developer who was part of a local technical community and I saw that people actually met up to discuss and build things for the web. In late 2011 the WordPress Orlando Meetup was started, and I made sure to make it to the very first meeting. I didn’t know anyone there at the time, but for a new event around a piece of software, there were a lot of people that showed up. I met a few people at that first meeting who are still involved with the group to this day. I spoke with some folks there and mentioned that I build WordPress sites for a living, something that only a few other people there seemed to do, as most were users of the tool for their own businesses. 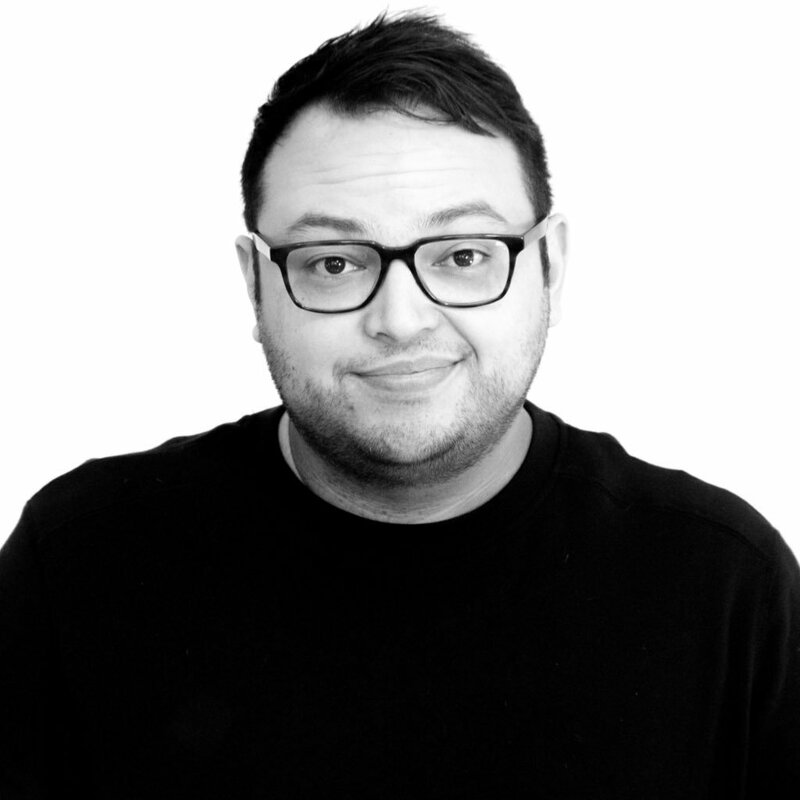 I quickly got involved with giving presentations on things around WordPress, and was helping set up some events and speakers right away. 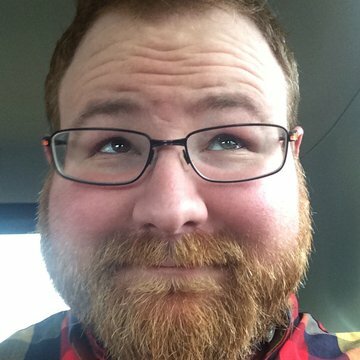 I became a co-organizer quickly, and within two years was the only remaining organizer, making me the de facto lead when we got pulled into the WordPress Foundation. Fast forward nearly seven years and we put on multiple events each month with a group of about ten organizers. We also restarted the defunct WordCamp Orlando in late 2012, and I’ve been involved in a variety of roles with a slightly larger group of organizers ever since. In between I have attended several dozen WordCamps, speaking at a good portion of them, and making lots of friends along the way. At this point the majority of my social life revolves around the community, which has helped to give me so much that it only makes sense to keep giving back. 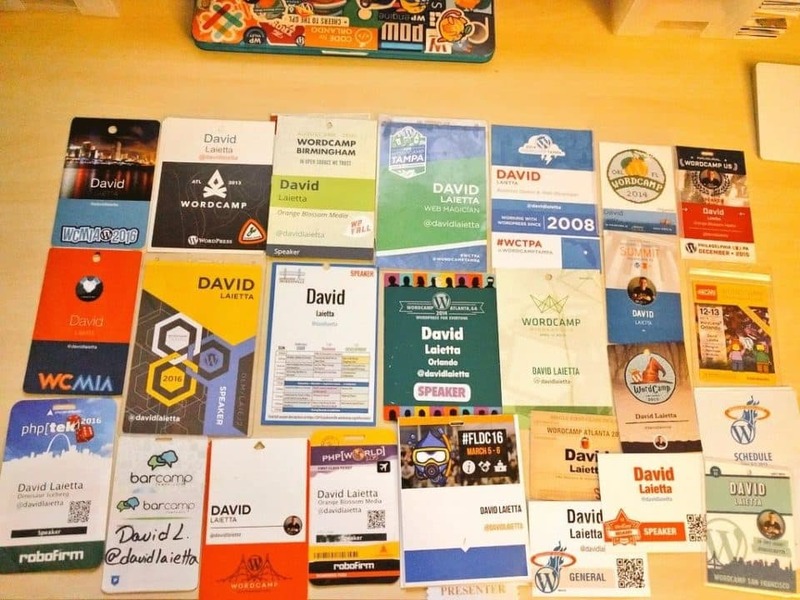 A few of the WordCamp and web conference badges that I’ve collected through the years. I’m happy to be included in a group of some of the smartest, kindest, and most helpful people that I could hope for. It’s not always the easiest when there is so much coordination and a lot of personalities to keep together, but it’s been worth it for me. It is not an exaggeration to say that discovering WordPress changed the course of my life. 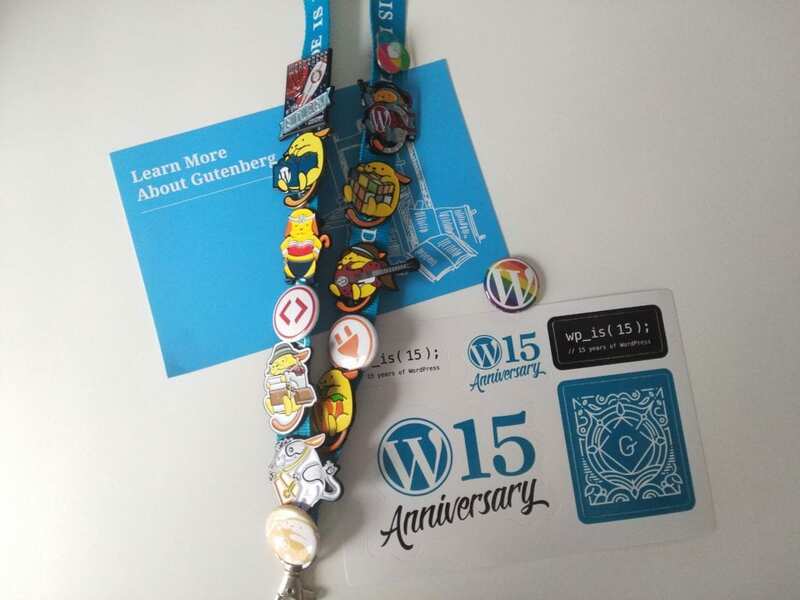 WordPress is one of the rare open source software releases that is still actively developed 15 years after initial release, especially at such a regular pace. The community is thriving, and I hope to see Gutenberg and other future thinking tools continue to improve WordPress for a long time. Here’s to the past 15, and here’s to 15 more! How do you design a site? Do you mind talking about the cross-publishing on Medium? I’ve been considering that. Thanks!